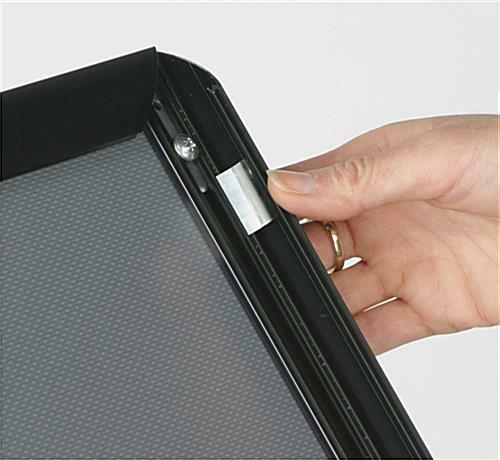 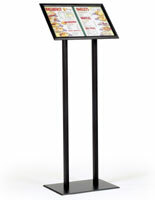 Snap frame: This sign holder has a snap-open frame for easy access to the graphics! 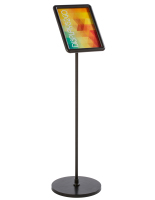 This sign holder accentuates any lobby with its contemporary look. 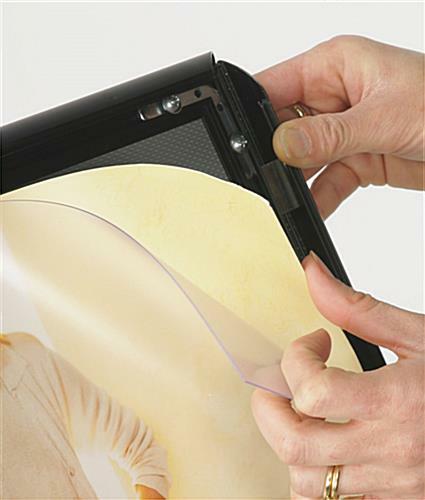 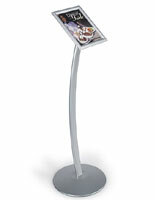 This graphic stand, sign holder displays your graphics under a non-glare PVC lens. 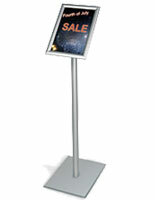 This stand, sign holder accommodates 8-1/2"w by 11"h advertisements. 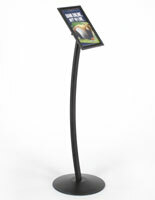 This holder, also known as a sign stand has a heavy, sturdy, black powder coated base making the display stable. 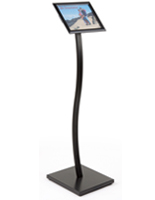 This sign holder, snap frame display allows for a hassle free changing of your graphics by simply flipping open any of the four sides to the picture frame [see image to right].This stand comes knocked down, and assembles in minutes. 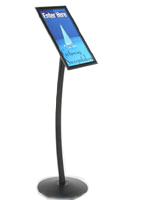 11.8" x 47.0" x 9.8"